Our professional pressure cleaning services including patio and driveway cleaning and sealing and mono block cleaning, re-sanding and sealing are available throughout the Fife area including Dunfermline, Kirkcaldy and Glenrothes. We are able to pressure clean all outdoor hard surfaces including decking ,paths, pavements, driveways and patios and all building materials such as Indian Sandstone, limestone, pattern imprinted concrete. tarmac, mono block and concrete slabs. Our mono block pressure cleaning services include power washing followed by refilling the joints with kiln dried sand and then sealing the surface. The paving sealer not only protects the blocks and inhibits weed growth but also stabilises – or hardens – the sand. This ensures it remains in place and does not wash away or erode through weathering. Is it necessary to refill mono block joints with sand? Yes it is. The kiln dried sand is heated to very high temperatures making it extremely fine so it easily fits into joints. This sand then creates friction between the blocks and allows for the weight of vehicles to be spread evenly across the surface. Without this friction weight would be concentrated onto individual blocks which they are not designed to withstand. This leads to blocks breaking or becoming lose which can result in the need for major repairs or replacement of the entire driveway. 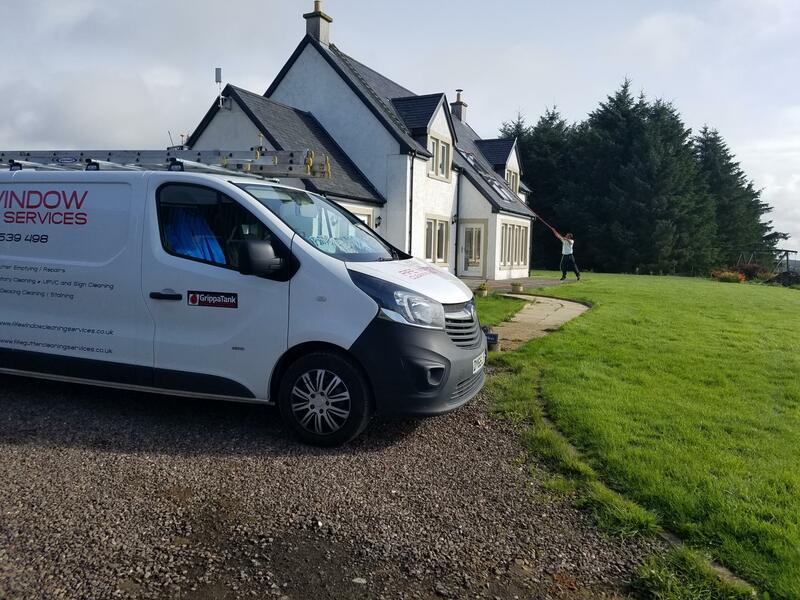 Fife Window Cleaning Services provide a range of exterior cleaning in addition to our pressure cleaning services which are available throughout Fife and beyond including areas such as Dunfermline, Kirkcaldy, Glenrothes and Cowdenbeath. These include conservatory and conservatory roof cleaning, gutter cleaning, solar panels and cladding. For further information or to arrange a free quote please call 07859 539 498.